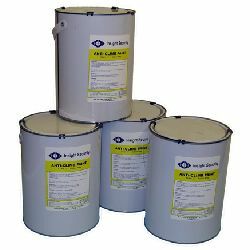 The products offered here are those recommended for use with other products offered by Insight Security. 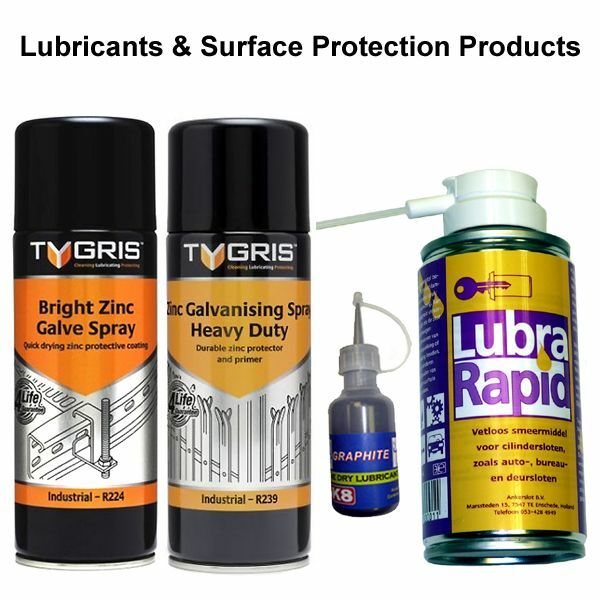 The specialist lubricants we offer are ideal for use with our comprehensive padlock range, and can of course be used to ensure the smooth trouble free operation of almost any type of mechanical lock. 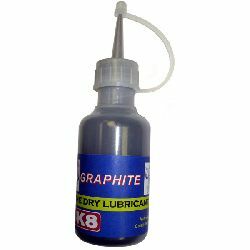 Historically, oil based products have been used to lubricate padlocks, however oil based lubrication will gradually build up internal sludge, which will in turn will prevent the smooth operation of the lock and potentially lead to premature failure. 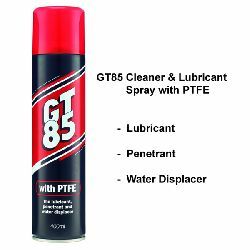 ...whilst using our versatile "Oil Free" professional grade Lubra Rapid Spray is the preferred option for keeping your outdoor padlocks in tip top operating condition and is also a terrific way to look after your internal locks as well. 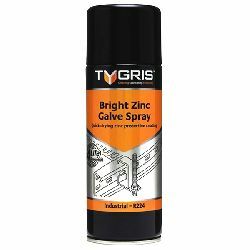 Our protective coatings are stocked primarily as an aid for our professional perimeter security installers, however our Bright Zinc Galvanising Spray offers the perfect corrosion protection for exposed ferrous metals and is also a favourite with DIYers everywhere. Anti-climb paint provides a simple yet effective way to deter intruders from protected areas such as your garden, grounds or buildings! Paint along the top of walls, gates and fences to stop burglars vandals or other unwelcome intruders from climbing over them. 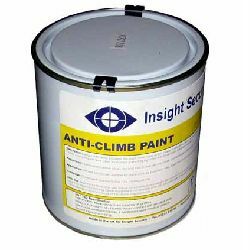 You can also use this paint to protect drainpipes, flat roofs and other vulnerable areas against would be climbers.